Fresh off the line and now boasting the most varied model line up in the Challenger's history, the new 2018 Dodge Challenger aims to offer drivers year-round driving fun. 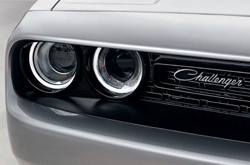 Offering up new standard equipment, exterior colors, and an array of performance upgrades, the proof is in the details - the Challenger is a performance muscle car designed to captivate. 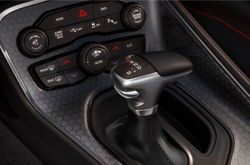 Dodge has made the 2018 Challenger available in no less than an astounding thirteen models, from the RWD SXT to the RWD SRT Demon to offer customers a vast plethora of options from a daily driver to a powerhouse that is certified by the National Hot Rod Association as the fastest quarter-mile production car in the world. An optional Performance Handling package is now available on all models with the 5.7 liter V8. With this package comes four-piston Brembo brakes and a tuned suspension. 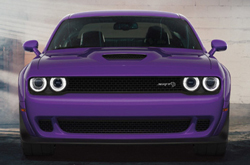 19-inch wheels with painted pockets are an optional feature for the all-wheel-drive Challenger GT. For those desiring more comfort on the interior, the Super Track Pak available on the SXT Plus and the R/T Plus trims features nappa leather and microsuede sport seats. 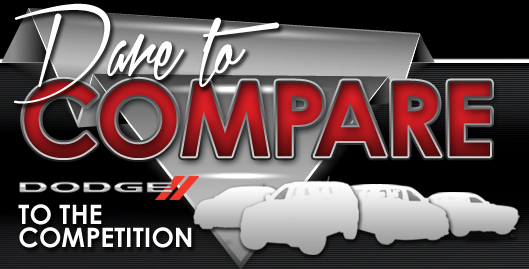 For the technologically inclined, 7.0-inch Uconnect touchscreen will be standard on the SXT, R/T, R/T Shaker, and T/A models. Back up cameras are now a piece of standard equipment featured in each model of the Challenger to enhance safety. A wide body kit is now available for the SRT Hellcat, offering enhanced looks, heated and cooled seats, and upgraded lights. Exterior colorwise, the 2018 Challenger lineup has added F8 Green and IndiGO Blue, both of which will have late availability. Later on in the year B5 Blue and Plum Crazy will be making their anticipated return. Horsepower is one thing the 2018 Challenger is certainly not lacking. From the GT AWD's 305 hp to the RWD SRT Demon's impressive 808 hp, this year's Challenger is more to be more powerful than ever. No matter which model you choose, any model within the Challenger's line up is going to offer competitive power and performance at your fingertips. 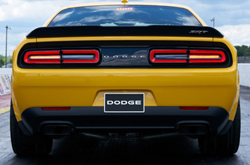 After rigorous testing from the National Highway Traffic Safety Administration, the 2018 Dodge Challenger boasts an outstanding 5-star overall safety rating. Built with safety and security throughout the car, each model is specially designed with front and rear crumple zones meant to assist with impact energy absorption so that it can be redirected away from passengers and reduce injury. These crumple zones come with a solid structure build into the foundation of the body with high-strength steel. Standard across all models are advanced multistage driver and front passenger airbags, supporting front and rear side-curtain airbags and front seat-mounted airbags. 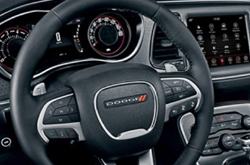 Dodge also offers automatic high beams that can switch between high and low-beams when oncoming traffic is sensed, blind spot monitoring which helps to make lane changes smooth and easy by detecting and alerting drivers when a vehicle is in the blind spot, and forward collision warning with active braking that transmits audible and visual warnings if an imminent crash is detected, and can automatically apply the brakes to lessen or even avoid impact.